Nvidia partners have started to release information about their new graphics cards based upon the GeForce GT 1030 chipset. Yes, the leaks appear to have been correct as both EVGA and Manli have emailed HEXUS with details of their new GeForce GT 1030 graphics cards. 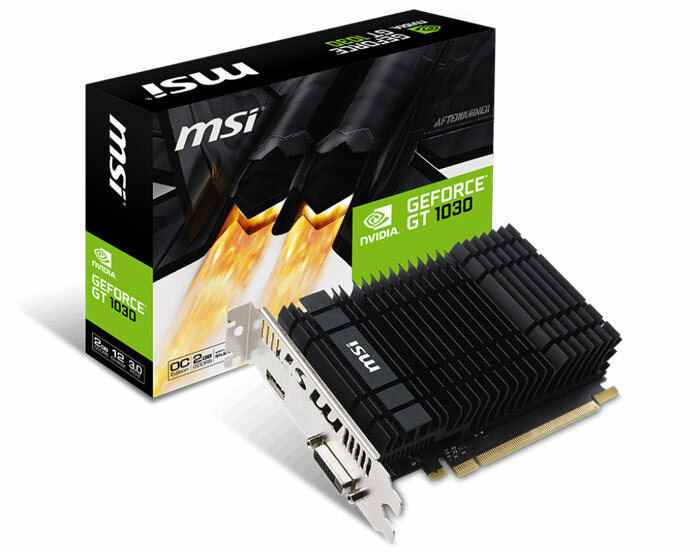 Furthermore, I have found product pages featuring GT 1030-based products by MSI and Gigabyte, and there are likely to be several more. From Nvidia directly I haven't seen any publicity but the product pages with overview, features, specs and product images are now available. Nvidia says that the GeForce GT 1030 packs a "powerful graphics engine," based on its latest Pascal architecture and is adept at tasks such as video editing and HD gaming. Buyers will benefit from the GeForce Experience and technologies like GameWorks, Game Ready drivers, GPU Boost 3.0, DirectX 12 and Vulkan. However, this GT card lacks support for GTX standard features such as G-Sync, Ansel, GameStream, - and of course it isn't VR Ready, doesn't support Simultaneous Multi-Projection, and can't be used in SLI. The main purpose of the GT 1030 is if your integrated graphics are letting you down and you need a useful step up in performance. In testing by EVGA, a GeForce GT 1030 in an Intel Core i3-6100 based system offered double the 3D gaming performance of a Core i5-6600 system relying on its iGPU (3DMark 11). 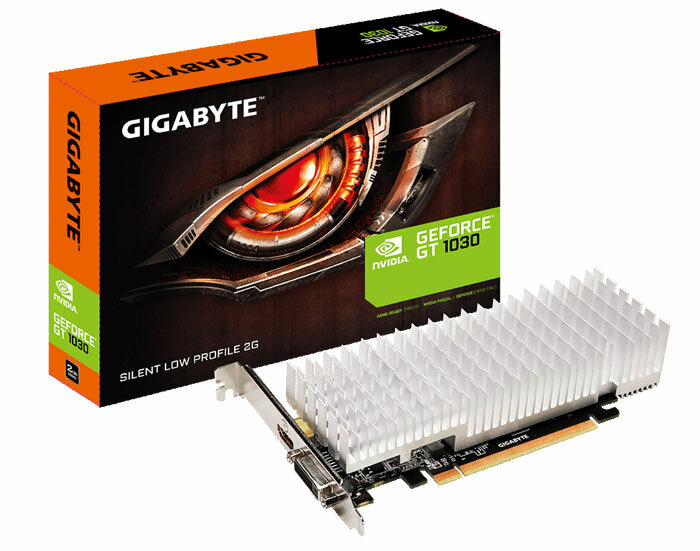 As mentioned in the intro, Nvidia partner GT 1030 designs facilitate the extra performance available from this card in various offerings. Many are low profile, single slot sized, and even passively cooled designs. Partners have pushed the GPU clocks a little. 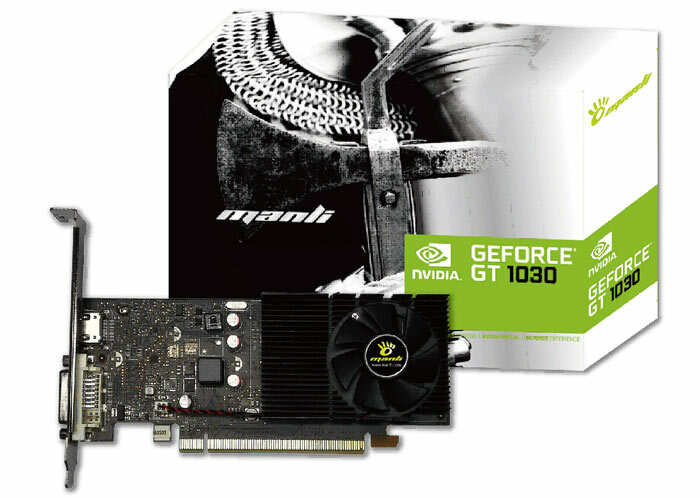 For example EVGA's trio of GT 1030 cards all offer a base/boost of 1290MHz /1544MHz whether actively cooled or not. EVGA's offerings, ictured directly above, include a GeForce GT 1030 SC Single Slot, a GT 1030 SC Low Profile, and a GT 1030 SC Passive Low Profile. Yeah some reviews of the low end gpu's wouldn't go a miss. They're potentially ideal for media pc's with ‘light’ gaming duties so testing around the use for media decoding etc as well as gaming performance would be great.